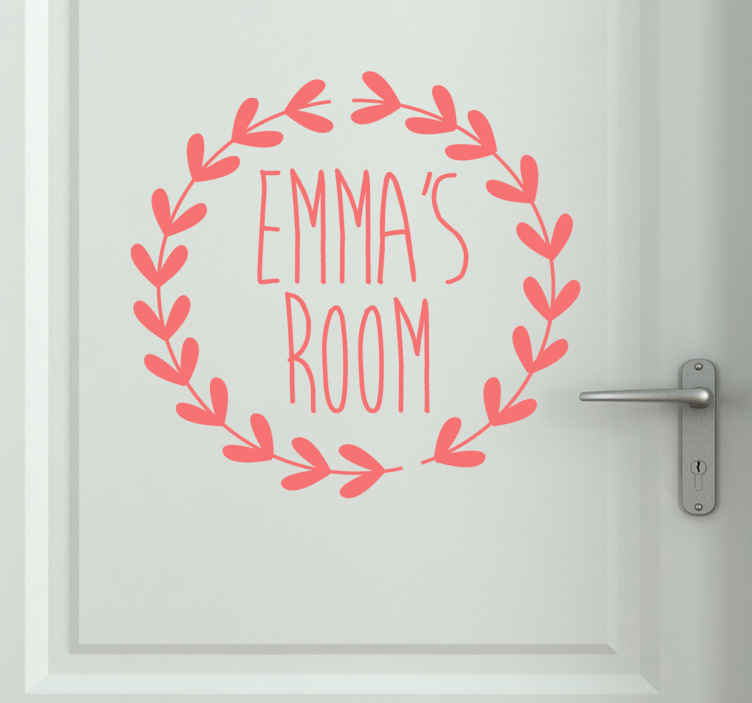 You can customise this fantastic kids sticker with your child's name. Easy to apply and remove. Available in various colours and sizes. Perfect for your child's bedroom or playroom! This pink design features a circle of leaves surrounding their name in an original and feminine font.